Developed in response to industry demand, an animal welfare course where you will learn the about the theory and practice of animal welfare - wildlife, pets, farm animals. Do you have a passion for helping animals in need? Back up your love of animals with a qualification and take that first step towards a career in the care and welfare of animals. Having a knowledge of animal welfare will better equip you to convert your care and concern into a career. This is a solid introductory course which covers a wide range of Animal Welfare topics. Animal protection and rescue organisations are largely aimed at dealing with issues relating to domestic pets. While there are still far too many cases of deliberate pet abuse, a large majority of pets suffering is not through intentional abuse. Many pet owners simply do not have the knowledge or resources to provide their pets with the care they need. 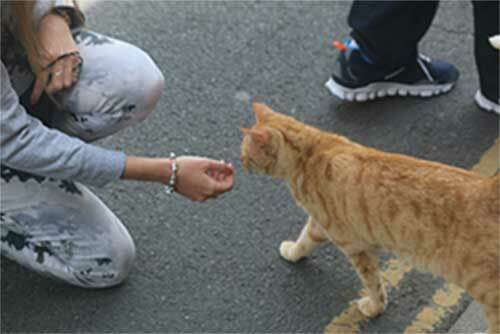 Animal welfare services provide several career opportunities for people wishing to make a positive difference in the welfare of pets ranging from 'on the ground' jobs such as Animal Welfare Inspectors or Rescue Officers to 'behind the scenes' jobs such as Marketing and Fundraising. If an animal is in pain and is suffering then it should be seen by a veterinary surgeon. If left to continue with an existing injury then this would lead to distress, and may also lead to secondary infections. If an animal is suspected to have an infection or disease, then it is vital that the animal gets diagnosed and treated by a vet to prevent further suffering. What is needed to succeed in an Animal Welfare career? Many people who care about animals contemplate turning this passion into a career. Having a passion and love for animals is important, but if you are considering a career in Animal Welfare, education and experience will provide you with the necessary knowledge and skills to work in this industry. The work is often physically hard. The emotional roller-coaster you will ride is even harder. You may need to work in harsh weather conditions e.g. extreme heat or cold. It is not a financially favourable industry. But, if you are passionate about experiencing the incredible joy that comes with ending an animal’s suffering and educating people to make real changes, then Animal Welfare is the industry for you. Where might this course take you? If you are looking for a course that has been specifically designed to provide you with work-ready skills for jobs in animal welfare, get started on your career path today!